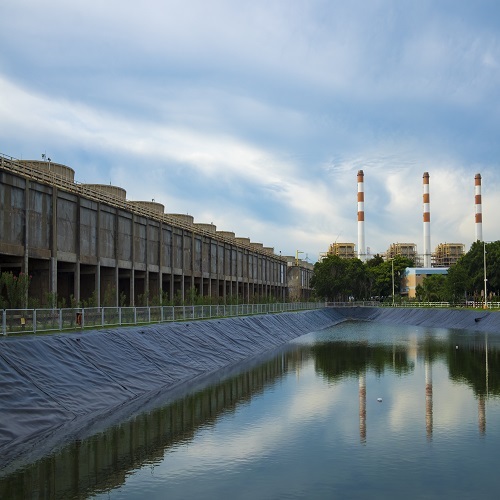 PolygommaTM Pond Liners are manufactured using Ethylene Propylene Diene Monomer (EPDM) rubber and are used in artificial lakes, ponds and other water bodies. Our pond liners can be used in ponds made for recreational and commercial purposes, as well as in industrial reservoirs. There are areas where water is scarcely available and storing it in proper hygienic conditions is a challenge, Alternate ways to store water may turn out to be an expensive proposition and is also time consuming. PolygommaTM Pond Liners can be used to store water for extended period of time. It is as simple as, excavating the ground, laying the PolygommaTM Pond Liners and filling/ storing water. 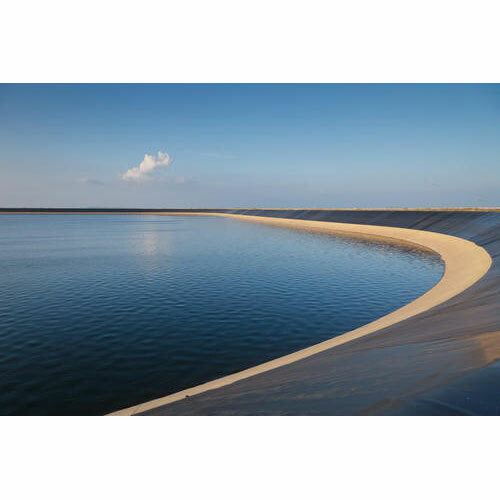 Our pond liners can be used for various applications such as reservoirs, canals, artificial lakes and golf course. The pond liners are flexible in nature, and hence can take the shape of the water body. Our pond liners are formulated to be friendly with aquatic life, however it is recommended to get it tested for a specific purpose before use, as per the rules and regulations of the local governing authorities, as it is made to meet EN 13361 product standard. Our pond liners are used in various industries like Dam Liner, Swimming Pool Liner, Landfill Liners, Fish Pond Liner, Flexible Pond Liners, Aquaculture Pond Liners, Fish Farm Pond Liners, Geomembrane Pond Liners, Aquaponics. The lakes, ponds, reservoirs, etc at times cover a large area. We manufacture EPDM pond liners / EPDM Rubber Sheet with a width of 6 meter with factory seam, and even more upon request. The wider width of the membranes reduces the number of joints and overlaps carried out during the installation. The fewer joints and overlaps not only make the liner easy to install, but it also considerably reduces the risk of the liner failing due to improper overlaps and joints during installation on site. The fewer overlaps and joints also reduce labour costs and installation time. Polygomma manufactures EPDM Canal Liners which are used in canals and other water bodies. Our canal liners can be used in ponds made for recreational and commercial purposes, as well as in industrial reservoirs. There are areas where water is scarcely available and storing it in proper hygienic conditions is a challenge, Alternate ways to store water may turn out to be an expensive proposition and is also time consuming. Polygomma pond liners can be used to store water for extended period of time. It is as simple as, excavating the ground, laying the Polygomma pond liner and filling/ storing water. Packaging Details : Our EPDM liners are wound in roll form, and packed in strong plastic film.